Fulham started brightly but were caught on the counter by Arsenal, with Lacazette finishing superbly in the 29th minute to break the deadlock, before Andre Schurrle levelled things up on the stroke of half-time. The in-form Lacazette restored Arsenal's lead four minutes into the second half, before Ramsey nonchalantly finished off a flowing move to add a third in the 67th minute, 38 seconds after coming off the bench. Pierre-Emerick Aubameyang then got in on the act 11 minutes from time to add a fourth, before he completed the rout in stoppage time as Arsenal moved level on points with Tottenham, while Fulham sit just above the relegation zone in 17th after a second successive league defeat. 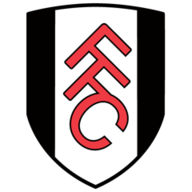 Fulham: Bettinelli (7), Christie (5), Odoi (4), Ream (5), Le Marchand (5), Seri (6), Anguissa (6), Vietto (7), Schurrle (7), Ryan Sessegnon (5), Mitrovic (5). Subs: Kamara (6), McDonald (5), Johansen (N/A). Subs: Aubameyang (9), Ramsey (8), Guendouzi (N/A). Man of the Match: Alexandre Lacazette. Arsenal were sloppy in the opening exchanges, and gifted Fulham the first chance of the match, but Bernd Leno denied Luciano Vietto with a smart stop. The visitors grew into the match, and soon got themselves in front through Lacazette. Alex Iwobi fed Nacho Monreal down the left flank, Monreal was afforded far too much time to pick out his man, he fed Lacazette, whose brilliant first touch took him away from his marker before firing home. Fulham responded well but were wasteful in front of goal until Schurrle stepped up with another fine finish. Vietto's through pass was perfect, Schurrle still had plenty to do, but expertly lofted the ball over the onrushing Leno to restore parity. Fulham made two changes from their 3-0 defeat at Everton, with Cyrus Christie and Maxime Le Marchand replacing injured duo Joe Bryan and Timothy Fosu-Mensah. Petr Cech's injury meant Bernd Leno made his first Premier League start in goal for Arsenal. Pierre-Emerick Aubameyang and Aaron Ramsey both dropped to the bench while Mesut Ozil was not in the squad due to a back spasm, with Henrikh Mkhitaryan, Alex Iwobi and Danny Welbeck starting. After the break, however, Fulham had no answer to Arsenal's array of attacking talent, with Lacazette netting the first of four second-half goals, beating Marcus Bettinelli, who had just pulled off a remarkable save to deny Hector Bellerin, with a fierce strike from distance. Arsenal's third was a contender for goal of the season, and reminiscent of Arsenal of old. There were flicks, slick through passes and brilliantly-timed runs, culminating in substitute Ramsey flicking the ball into the bottom corner from Aubameyang's centre. Aubameyang had quite the impact from the bench, as he then helped himself to a late double of his own. His first was a superb finish, as he swivelled sharply in the box and fired into the bottom corner, before he slotted home a fifth after carving Fulham open once more in stoppage time to complete a fine afternoon's work. Danny Welbeck created more chances than anyone on the pitch at Craven Cottage, helping himself to one assist. Marcus Bettinelli cannot be blamed for any of Arsenal's goals and actually made some fine saves, while Ryan Sessegnon really struggled to cope with Arsenal's pace. Arsenal have won nine consecutive matches in all competitions for the first time since April 2015. 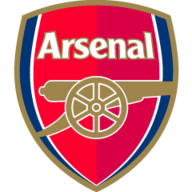 Arsenal have a 51.5% win rate in Premier League London derbies (124/241) - the best in the division. In contrast, Fulham have the lowest win rate in these games (20.7% - 25/121). Fulham are the only side in the Premier League yet to keep a clean sheet this season, while no side has conceded more in the competition than the Cottagers (21). Arsenal have won four of their last five away Premier League matches (L1), as many as they'd won in their previous 19 on the road. This is Fulham's joint-lowest points haul after the first eight Premier League games in a season (also 5 pts in 2005-06). There were plenty of candidates for this award, but Lacazette just shades it for the quality of his goals, at crucial times. That is now five in five league games for Lacazette, who is very much the focal point of the Arsenal attack now, having suffered an injury-plagued first season at the club. His second was particularly well-timed, with Fulham in the ascendancy after their equaliser just before the interval. Arsenal now have a striker they can depend on, and are reaping the rewards. 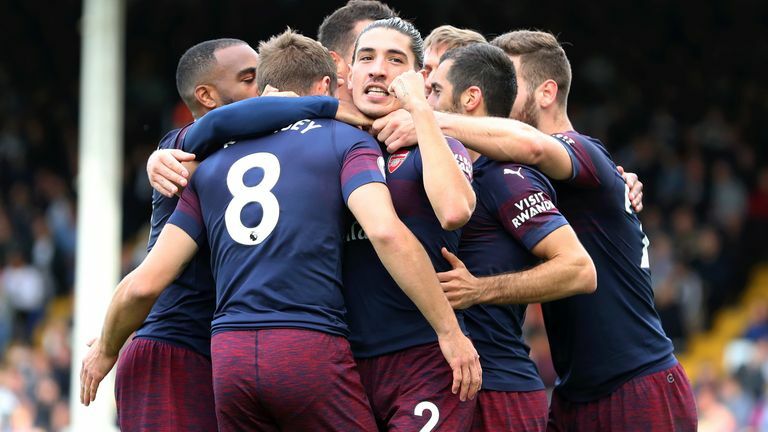 Arsenal host Leicester next after the international break, live on Monday Night Football, while Fulham travel to Cardiff.